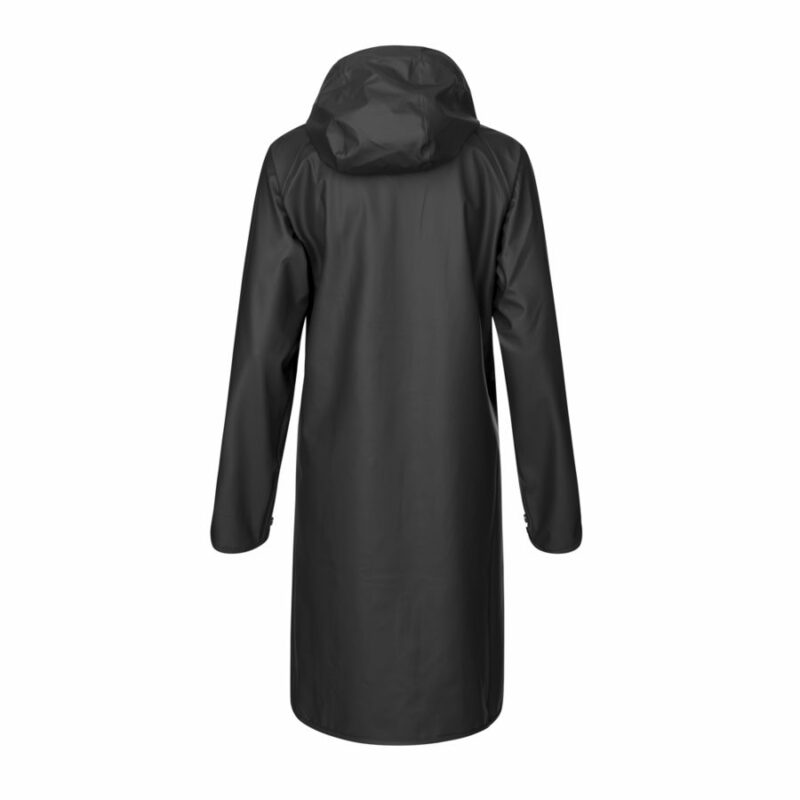 Isle Jacobsen Rain71 light long raincoat in dark anthracite. 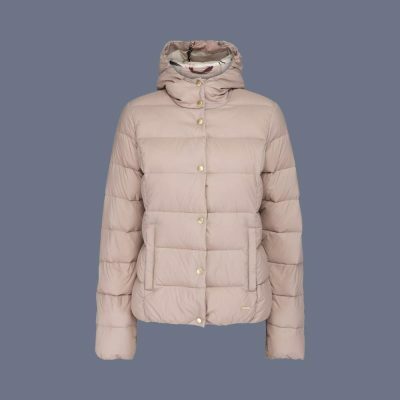 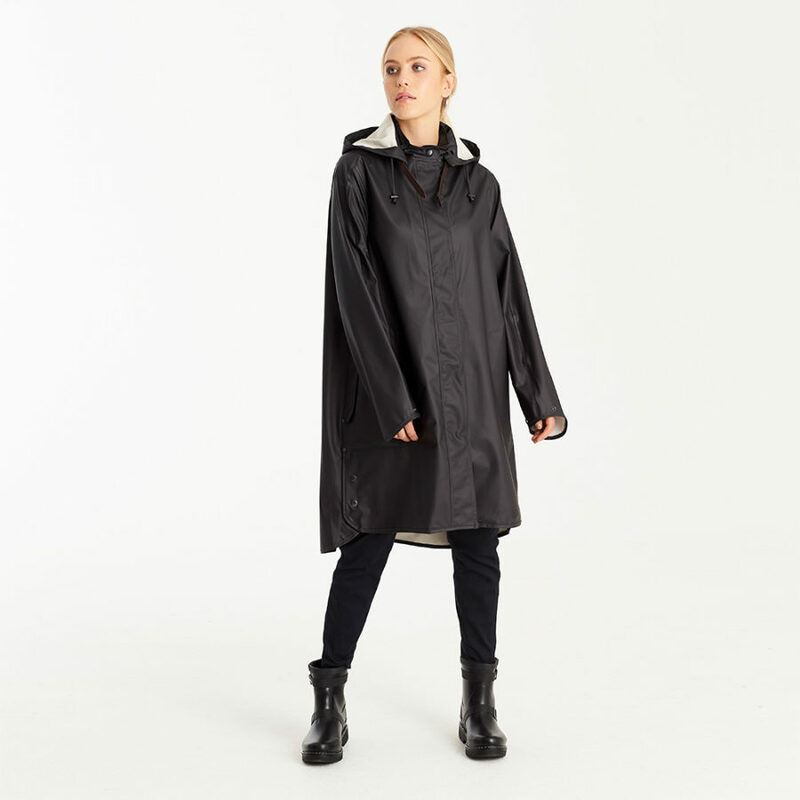 An authentic waterproof raincoat that is light with a feminine A-Line silhouette.The style falls to just below-the-knee length and features a detachable functional hood with a discreet logo and leather buckle strap to secure it. 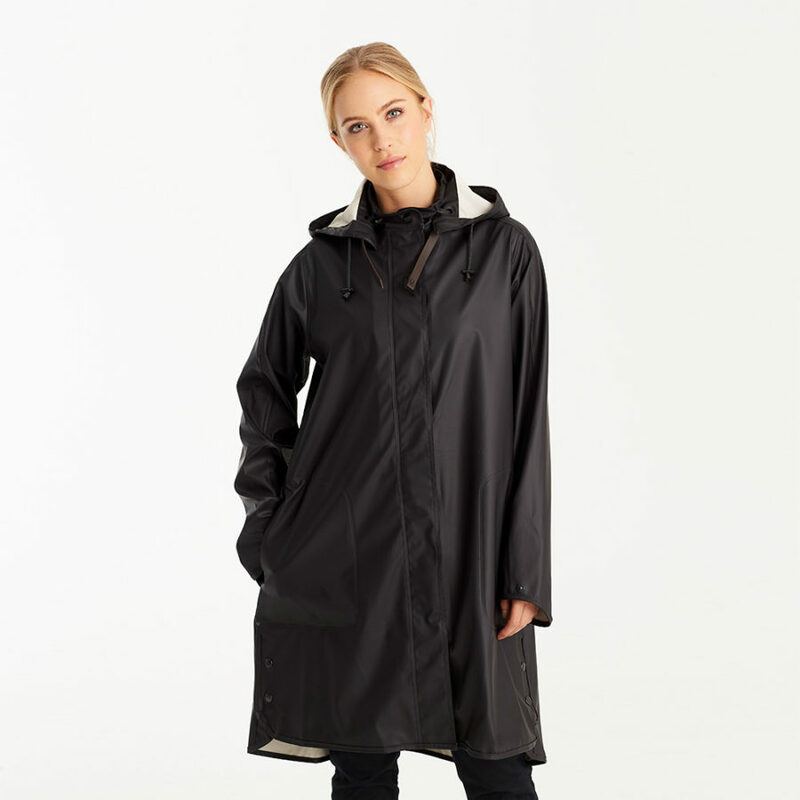 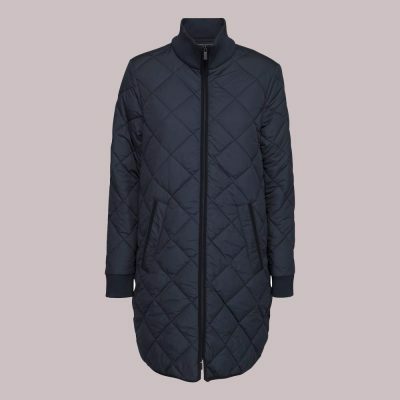 It has vertical side pockets with flaps, a popper button detail on sleeves for fit, a 2-way centre front zipper with additional button cover and side slits at the bottom seam with popper buttons. 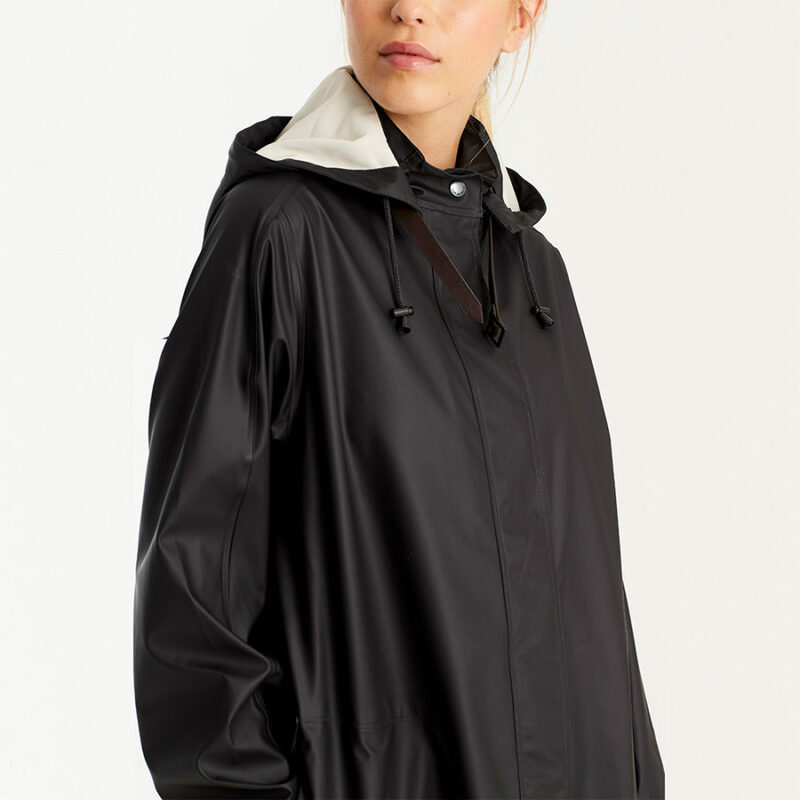 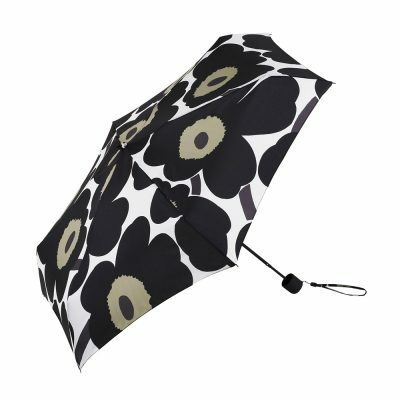 The quality is a fully waterproof light polyester tricot coated in PU, providing a soft and light fabric and all seams are double welded to keep out the wet. 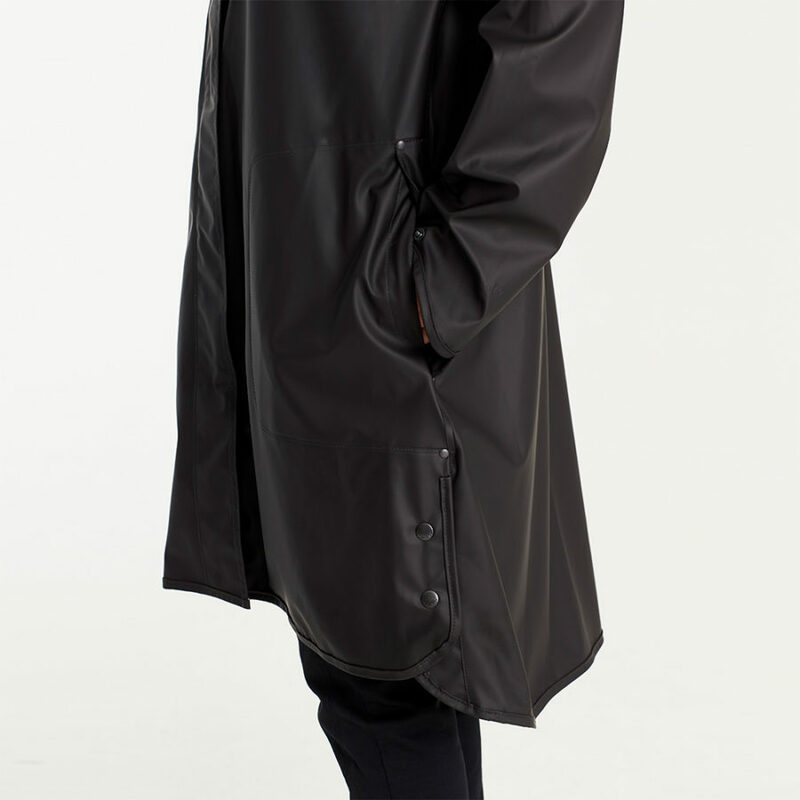 Complete your look with a matching waterproof classic lace-up rubber boot.